Hamiltonian is pleased to present two new bodies of work by artists Adam Ryder and Dan Perkins. The exhibitions will run from August 8 – September 12, with an opening reception on Saturday, August 8 from 7-9 pm. Through photography, found imagery and other media, Adam Ryder presents a new body of work that operates as evidence of a secretive fraternal organization known to its members as “Renovatio Imperii”. Latin for “restoration of the Empire”, Renovatio Imperii is purported to be clandestinely involved in geo-political affairs and claims ties to the Roman imperium of classical antiquity. Inspired by the neoclassical architecture of Washington, DC, conspiracy theories and the Masonic brotherhood, Ryder cleverly employs found objects, imagery and manipulated photographs of familiar landmarks in order to build a case for Renovatio Imperii’s existence and their ominous hand in global affairs. In Alone In the Woods, painter Dan Perkins immerses viewers within a dreamy, solipsistic world devoid of human presence. Perkin’s romantic, solitary landscape paintings merge 19th century notions of the picturesque and the sublime with 21st century interruptions: digital desktop interfaces, cell phones and computer graphics. 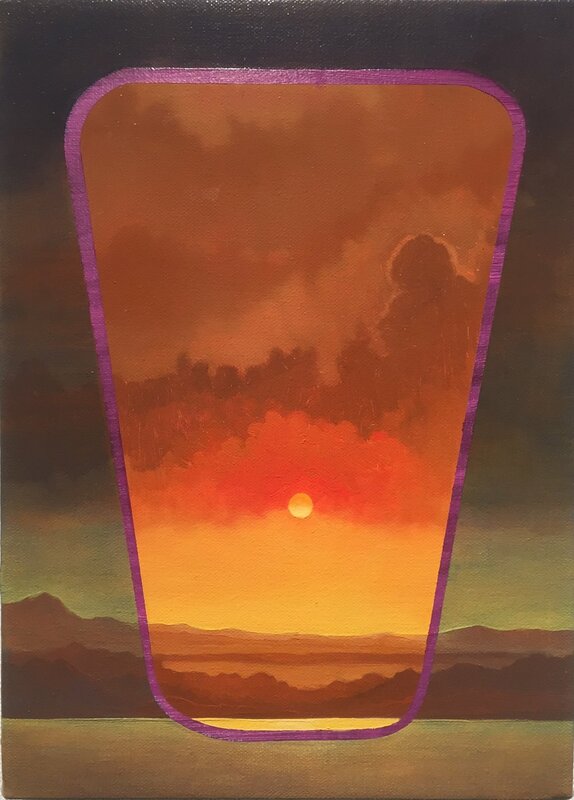 These incongruous pairings result in landscape paintings that oscillate between transcendent clarity and playful digital flatness, thereby calling into question the true or illusory nature of the scenes depicted.